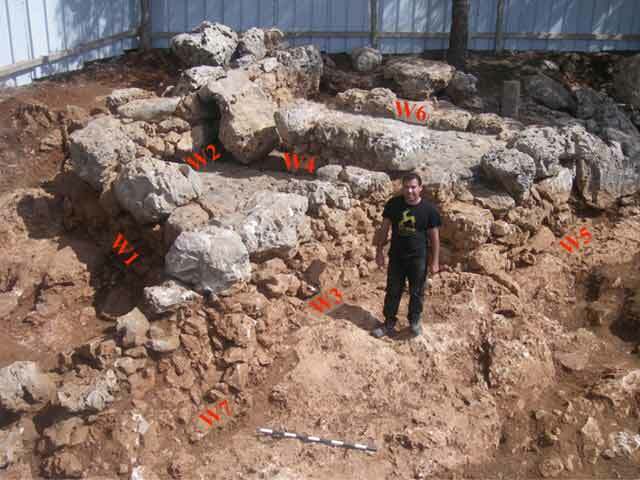 During October–November 2011, a salvage excavation was conducted at Shu‛fat Ridge, in the Ramat Shelomo neighborhood of Jerusalem (Permit No. A-6315; map ref. 22071–2/63510–1). The excavation, undertaken on behalf of the Israel Antiquities Authority and underwritten by the Jerusalem municipality, was directed by R. Be’eri (field photography), with the assistance of N. Nehama (administration), A. Hajian and M. Kunin (surveying), A. Peretz (field photography), E. Kamaisky (pottery restoration) and I. Lidski-Reznikov (drawing of finds). The excavation was conducted along a broad spur on the southern side of Shu‛fat Ridge, above the northern bank of Nahal Zofim (Wadi es-Samar; Figs. 1, 2). The spur is steep and characterized by terra rossa soil that accumulated between the high limestone rocks. There are no hewn installations or farming terraces in the region, nor is there a stable source of water. 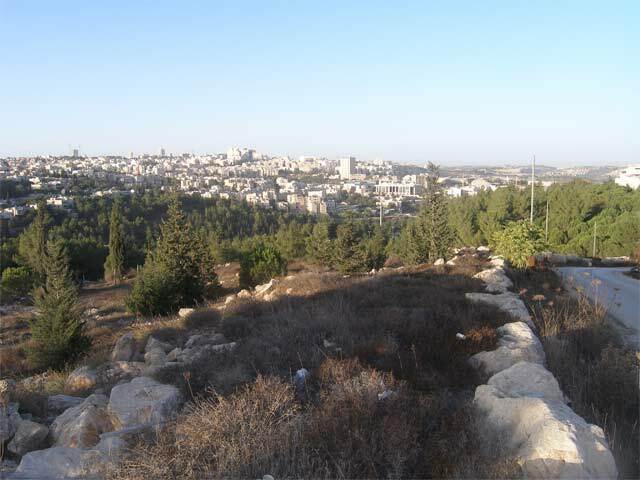 The spur, which is planted today with pine and cypress trees, is surrounded by the Ramat Shelomo neighborhood. The region of the excavation and the spur above it were mapped by the British Palestine Exploration Fund and are called Khirbat el-Meraghib. 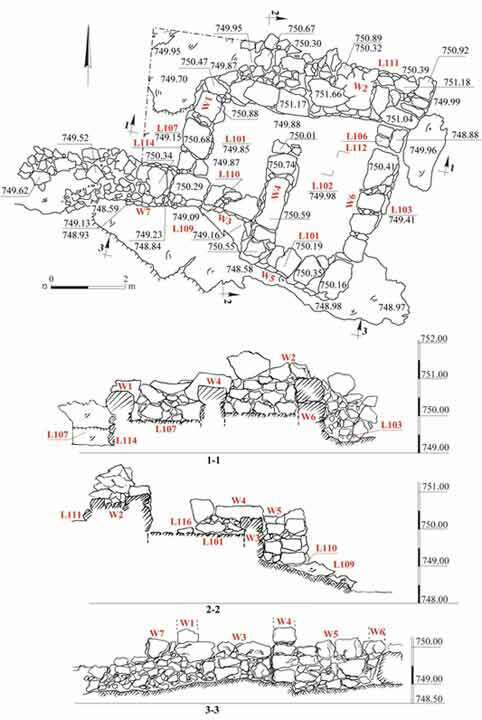 A. Kloner, who surveyed the region in the late 1970s and early 1980s (Survey of Jerusalem: The Northeastern Sector: 44, Site 105), identified two rectangular structures that were built of large fieldstones and collected pottery fragments dating to the Byzantine period around them. Kloner probably identified Building 304 and the tower that was built to its east (see below). 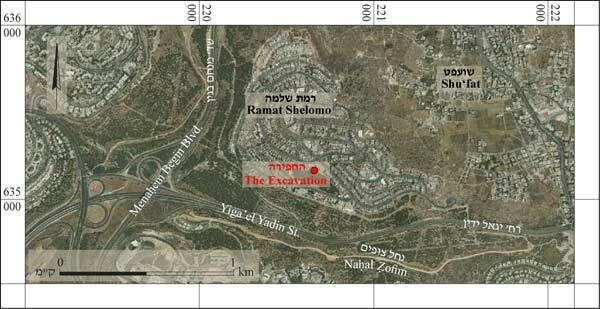 The site was excavated by the late Alexander Onn in 1991, within the extensive excavations on the Shu‛fat Ridge that preceded the construction of the Ramat Shelomo neighborhood. Onn, who called the structure “Site 304”, exposed the inside of two rooms down to bedrock level. He dated the building to the Late Iron Age based on the ceramic finds. 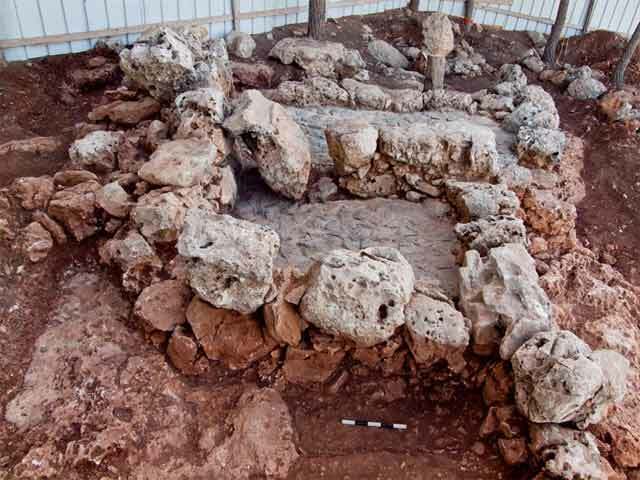 Some 110 m east of the site, Onn excavated a large square tower, adjoined by two rooms and dating to the Iron Age (ESI 13:71). The construction method and plan of these rooms were reminiscent of Building 304. After Onn’s excavation, conservation work was implemented in Building 304 and the rooms were paved with flat fieldstones. The conservators built a stone floor above the original floor that was apparently founded on the bedrock. The current excavation was a continuation of Onn’s excavation; Building 304 was completely exposed from the top of its walls to its foundations. The fragments of pottery vessels found in the foundations aid in dating it and confirmed Onn’s chronological conclusions. The foundations of a small building, constructed from large stones and preserved 1.8 m high above its surroundings, were exposed (Figs. 3–6). The building was entirely founded on the bedrock. A partition wall divided the structure’s interior into two rectangular broad rooms. The walls were built of large fieldstones that were placed on smaller stones above the bedrock. Four of the five outer walls (W1, W3–W5; width 0.7–0.9 m) were built of a row of large fieldstones, and only the northern wall (W2; width 1.4–1.5 m) was wider and built of three rows of large fieldstones that were meant to retain the slope. Considering the size of the stones, the thickness of the walls and the stone collapse that covered them (L107, L109, L111), the walls evidently supported two stories. 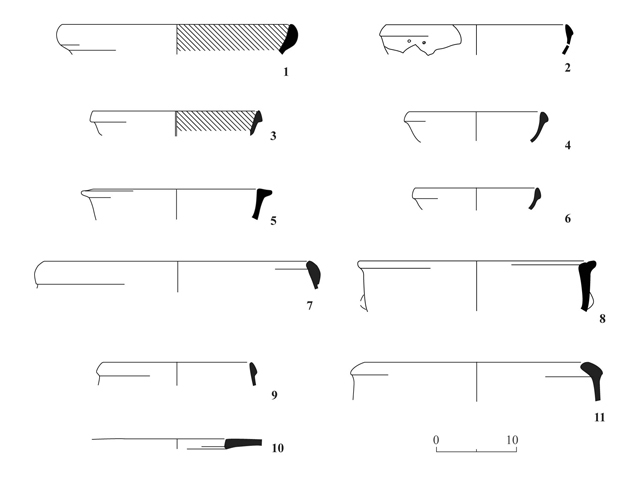 Fragments of bowls (Fig. 7:1, 2, 4–7), a cooking pot (Fig. 7:9) and holemouths (Fig. 7:10, 11), dating to the eighth–seventh centuries BCE, were found amongst the collapse of all of the walls and in their foundations. The eastern room (L102) was a rectangular broad room (1.9×4.0 m; 7.6 sq m) delimited by four straight walls built of one row of large fieldstones. The entrance (L106), built in the eastern wall and flanked by two large stones positioned on both its sides, was paved with three flat fieldstones. A krater (Fig. 7:8), dating to the eighth–seventh centuries BCE, was found in the foundation of the entrance pavement (L112). The western room(L101) was a rectangular broad room (1.90×2.65 m; 5 sq m) delimited by four straight walls built of a row of large fieldstones. A doorway (width 1.2 m) was set in the eastern wall. Above the floor of the entrance was a large flat stone (0.40×0.80×1.35 m) that apparently fell from the lintel. Fragments of pottery vessels from the eighth–seventh centuries BCE, including a number of potsherds that belonged to red-slipped bowls (Fig. 7:3) were recovered from the foundations of the doorway, Wall 3 (L110) and Wall 1 (L114). The southwestern corner of Building 304 was adjoined by a straight terrace wall (W7) built of small and large fieldstones. Compared to the building, the wall (exposed length 4.2 m) was haphazardly constructed and not distinctly delineated. It seems that the wall was designed to retain the soil along the slope west of the building. Fragments of pottery vessels dating to the eighth–seventh centuries BCE were found in the wall’s foundations and collapse (L107, L117). A small farmhouse comprising two rectangular rooms was excavated. Pottery ascribed to Iron Age II was discovered in the building’s foundations, which indicates the time of its construction. Several similar buildings from the same period were exposed along the Shu‛fat Ridge (Rapuano Y. and Onn A. 2004. 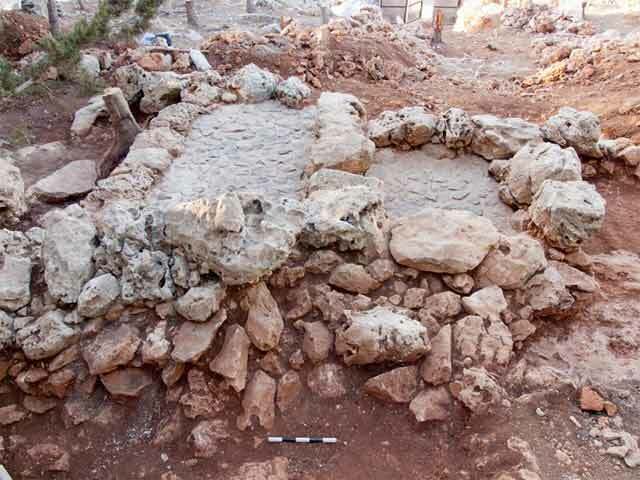 An Iron Age Structure from Shu‛fat Ridge, Northern Jerusalem, ‛Atiqot 47:119–129). These buildings and Building 304 are almost certainly related to the agricultural activity that took place along Shu‛fat Ridge and Nahal Zofim in the eighth–seventh centuries BCE; it seems they were used to guard the orchards and vineyards (watchman’s huts), as a dwelling for the owner of the cultivation plots and as a place to store produce. 2. The southern slopes of Shuʽfat Ridge and Nahal Zofim, looking southwest toward Nahal Zofim. 4. Building 304, looking northeast. 5. Building 304, looking south. 6. Building 304, looking east.